An NHS doctor has been convicted of plotting to bring chaos and murder to London and Glasgow Airport by setting off massive car bombs. A jury at Woolwich Crown Court found Bilal Abdulla guilty of plotting the home-made bomb attacks in 2007. Another NHS doctor, Mohammed Asha, was cleared of helping Abdulla and a second attacker, Kafeel Ahmed. 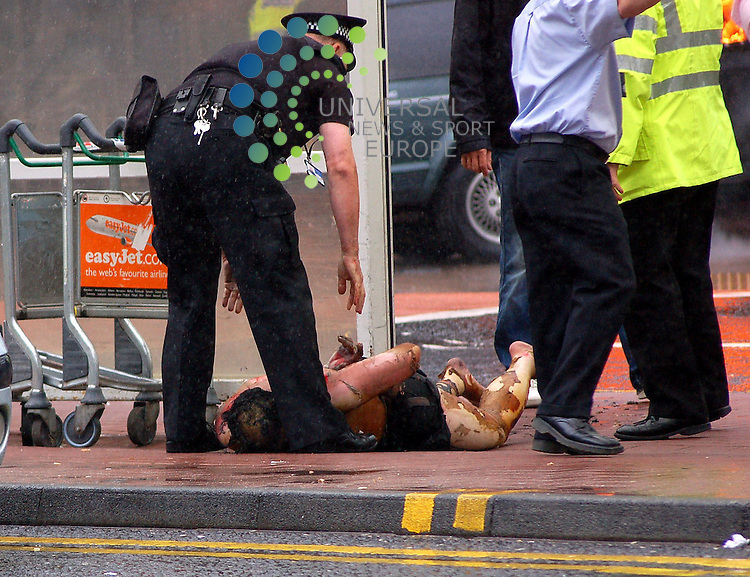 Ahmed died following the Glasgow attack on 30 June 2007, a day after he and Abdulla had attacked London's West End..Picture Desk***MANDATORY CREDIT*** 50% Fee Will Be Added If Not Credited...Picture: www.universalnewsandsport.com..0844 884 51 22 ..